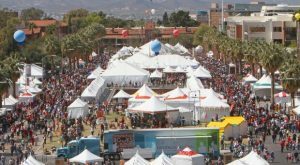 Home › Blog › Blog › I will be presenting my “Corky Tails” book collection once again this year at the Tucson Festival of Books held on the University of Arizona campus. This is the third largest event of its kind in the U.S. I will be presenting Saturday March 10th from 10:00 – 12:00 pm in the Children’s Author Pavilion. See you there!